The Harlem Globetrotter are coming to Hershey’s Giant Center for two nights. It’s hard to believe it all started back in 1926. It’s been 90 years that The Harlem Globetrotters have been bringing us smiles, ball handling wizardry and basketball artistry, on their 90th anniversary world tour. They have traveled all over the world breaking all kinds of basketball records. They were the first basketball team to play in Europe. 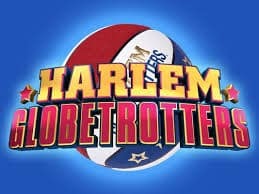 Some of the trotters have gone onto their own TV shows and movies from Wilt “ The Stilt” Chamberlain, Meadowlark Lemon to Olympic gold medalist Lynette Woodard, the Globetrotters signed their first female player in 1985. So hold onto your seats for an evening of wow’s, omg’s and laughs. This entry was posted in Giant Center, Hershey Activities, Sports by admin. Bookmark the permalink.